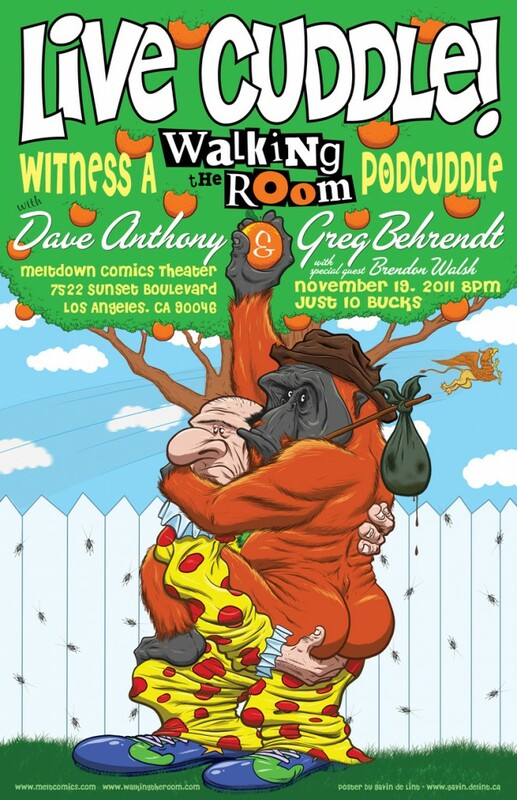 I had the great opportunity to do a poster for an upcoming live recording of a Walking the Room. What’s Walking The Room you ask? It’s a weekly podcast from the closet of Greg Berhendt during which he and fellow comic Dave Anthony makes me laugh like an idiot in public. Honestly, there hasn’t been an episode during which I didn’t have spasms of hilarity that got me either dirty or, at best, bemused looks from co-workers or passers-by. If you have a tolerance for potty mouth, give it a listen, and if you’re able to get to the Meltdown Comics Theatre in sunny Los Angeles, Ca – GO!